The centre is currently digging out its terrain park and other facilities as fast as it can, but is open to anyone who can get there and if self driving chains or a four-by-four are required. The current snowbase of 2.4 metres (eight feet) is among the deepest in the world at present. 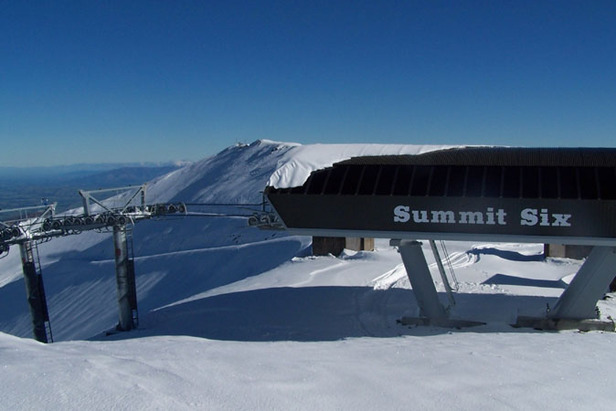 Other ski areas in New Zealand have reported big, if not quite such meteoric accumulations in the past few days. Coronet Peak added 45cm (18 inches) to their base and now has a 110cm accumulation. Treble Cone has a 157cm (over five foot) base wioth 15cm (six inches) falling in the past 48 hours. Over on Mt Ruapehu , Whakapapa has a 90cm (three foot) base, Turoa 150cm (five feet).